Saturday 4th May 2013, 6pm - 1am. All Boppers who still 'Keep A Little Marc In Your Heart' are welcome to come along for a Boogie! 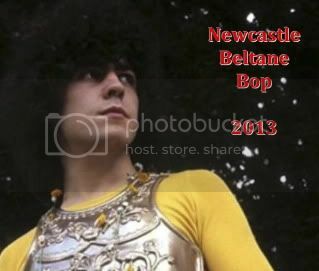 Marc Bolan & T.Rex themed disco, with live set from the fabulous 'Strange Orchestra'. Videos to be shown on large screens. This is a charity event with all door money going to a cancer-related cause. Raffle in aid of CICRA (Crohns In Childhood Research Association) - any donations of raffle prizes would be most welcome. Pay at door only. £5 per person.